It sounds simple, but I still see posts asking for advice on what guitar to buy, as if the best guitar for us is also best for them. Here is a simple guide on choosing the best guitar for you. What genre do you want to play? Once you have decided on the genre, search for music videos of the bands playing these songs and note the guitar they are using. Choose a model that is used by the majority of guitarists that you listen to. A semi-hollow body produces clean tones that sound best with jazz or rockabilly. They are not good for overdriven sound due to possible feedbacks. Les Paul may be used for classic rock and blues. The neck and body shape does not allow fast licks and provides limited access to the higher frets. Its humbucker pickups are noise-cancelling and produces a fuller tone than single coils. 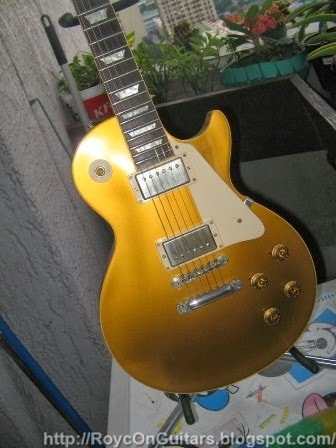 The neck pickup is clean while the bridge pickup usually has a higher gain for better bite. Stratocasters are versatile. You can select from five pickup options: neck, neck and middle, middle, middle and bridge, and bridge. Show bands usually have this due to its versatility. Telecasters have a bright, raw, and classic twang. It is not versatile like the Stratocaster, but is good for rock and country music. Its neck pickup position is a good substitute for an acoustic guitar. Ibanez and other pointy guitars are for metal heads. They have low action with a neck and body contour that allows very fast licks and access to all frets. An acoustic guitar is best for singers that want their voice to be heard clearly, not drowned by other instruments. It also sounds good for rhythm guitar in a band setting. I am not familiar with the other guitar brands. However, my advice remains the same. Research on the guitars used on the songs you like to play. Use YouTube to listen to how these guitar sounds like and decide which one you like. Try them at the music stores to see how they feel. Next, what to check before you buy a guitar.